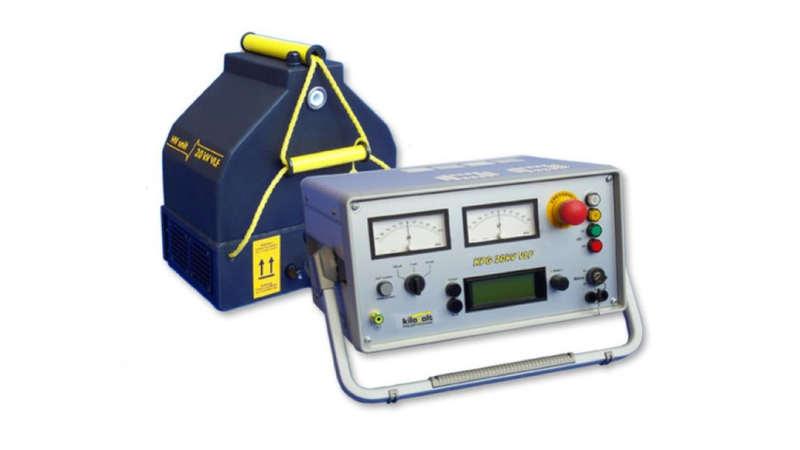 The portable cable test set KPG 24kV VLF is used for testing of medium voltage cables in accordance to the standards IEC 60502-2, CENELEC HD 620 & 621, DIN VDE 0276/620 & 621 and IEEE 400. Test is carried out with a low strain practice with VLF (very low frequency) test voltage of preferably 0.1Hz. VLF testing enables detection of damages of insulation within shortest test time. The KPG 20kV VLF can test cables with extruded insulation (XLPE-, PE-, EPR-insulation) as well as cables with paper-oil insulation (PILC). Cable sheath testing with direct voltage is also possible.